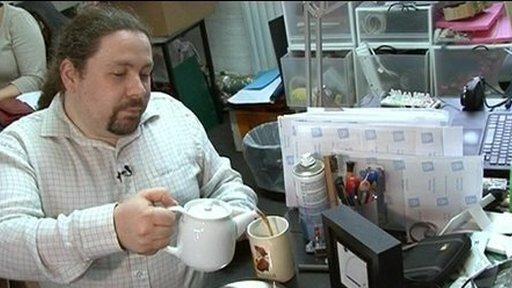 BBC NEWS | Technology | Tech Know: When is the pot empty? Tech Know: When is the pot empty? A system to monitor the level of tea in a pot is one of many gadgets spawned by a mini-computer. Ellie Gibson meets the enthusiasts using the Arduino micro-computer in their home-brewed inventions. The Arduino can be linked up to any number of sensors and links the information it gets from them to an action. It is open-sourced, allowing anyone to make use of it.